Glen Canyon Park: What’s That Brown Area? 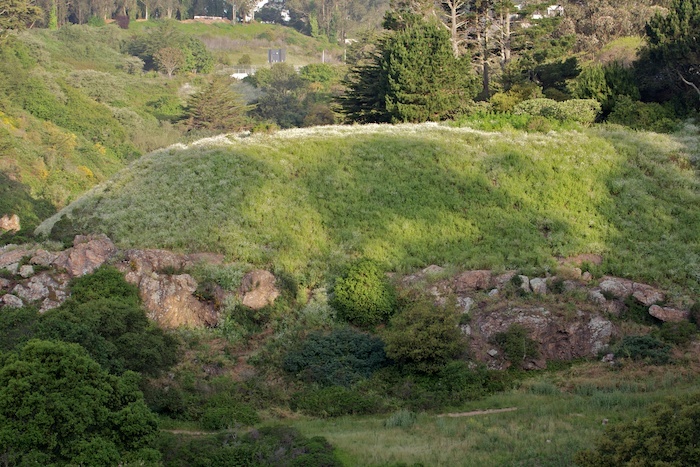 We’ve been wondering why this area around a rock formation in Glen Canyon Park is so brown, when all around it, there’s greenery. Could it be pesticides? We know that San Francisco’s so-called “Natural Areas Program” (NAP) — not very “natural,” because of their constant management — regularly uses pesticides to control plants they don’t want. But NAP is supposed to post a warning for several days ahead of time when toxic herbicides or pesticides are to be used. None was posted here. The dead brown plants around the rocks are wild radish. The wild radish only a few feet away is very green and full of purple and white flowers. In February this area was covered with colorful yellow wild mustard. That was soon removed by volunteers, leaving the area not yellow, but green. At least it was green. Wild radish grew there abundantly as it has elsewhere in the park. Unlike the mustard, this radish growth was not pulled out by hand, but was left in place. However, now it is dead and brown. Did someone think we were not going to notice? 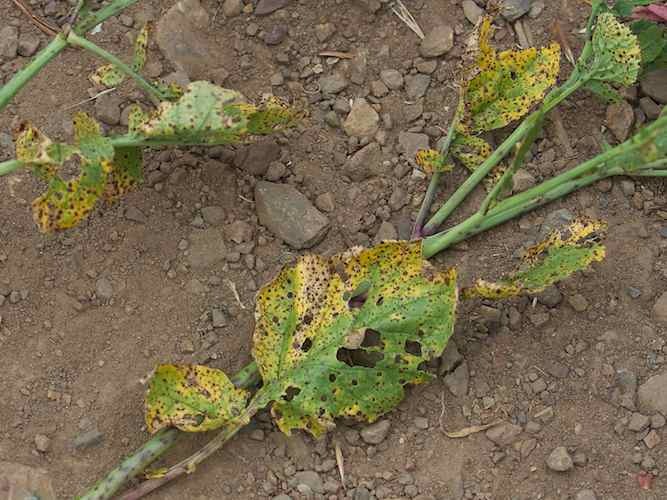 Did poison only hit parts of this plant, where the holes, black spots and yellow are? 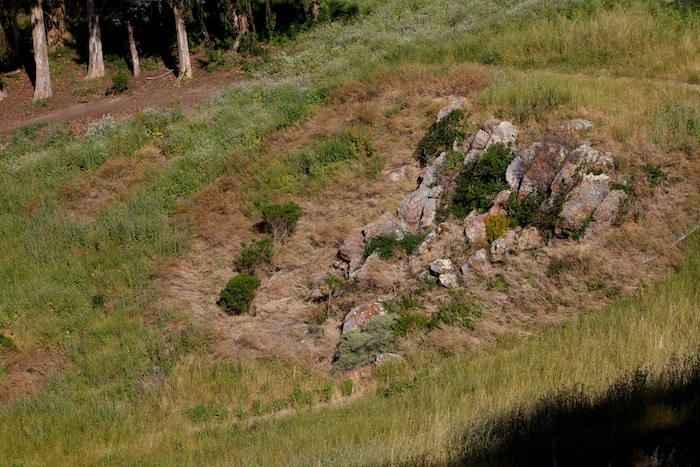 2 Responses to Glen Canyon Park: What’s That Brown Area?